An online education program needs both institutional and student support—an innovative identity can help it succeed in the marketplace. As the result of a new program by a tech-education start-up, Semester Online provided students an innovative online education to top-tier colleges and universities. 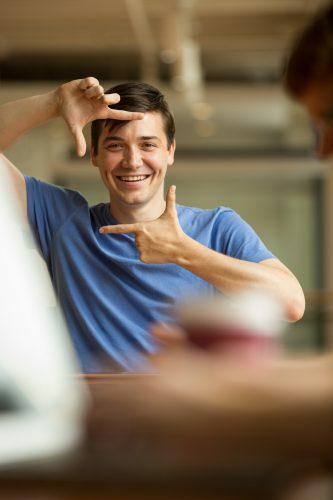 This new product served the undergraduate market, offering world-class academics, live classes, and global access wherever they are in the world. 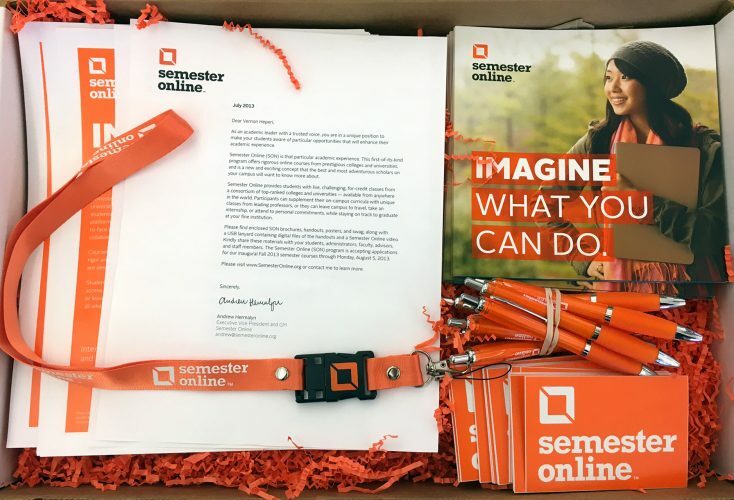 Because this was a new program, Semester Online sought our help to develop an identity to help attract new students to enroll and familiarize colleges so they can get their students to sign up. 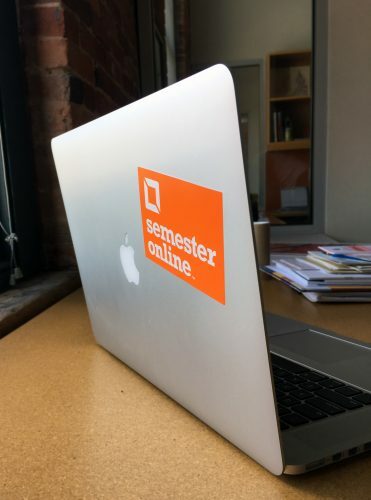 All they had was the name “Semester Online” and needed colors, typefaces, and more to establish their brand and education plan. We developed a promotional kit to send out to schools and students including posters, flyers, and videos to get everyone excited about this new opportunity. To develop these materials, we created three different student profiles to emphasize: the world traveler, the double major, and the career-oriented. These three student stories converged into a two-minute video, with thirty second shorts to tell the Semester Online story even further. By segmenting the audience into personas, we could speak more personally with Semester Online’s audience and attract the right students.